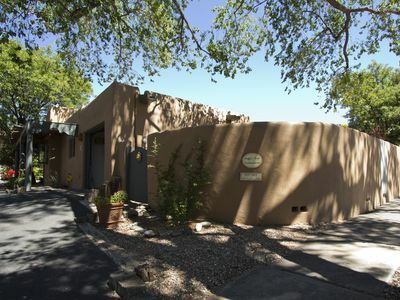 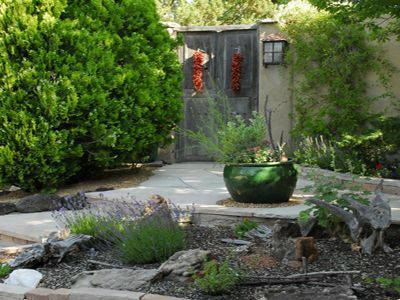 Encantada nestles in Santa Fe’s coveted North Side, just .06 miles or a 10-minute walk from the Plaza. 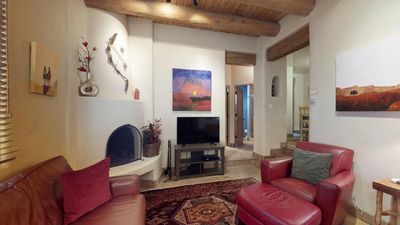 With direct access to Santa Fe’s Historic Plaza, dining, art galleries, and local coffee houses, you will be perfectly positioned to explore our wonderful city. 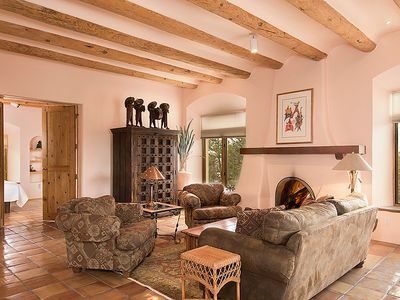 The excellent location of this luxury vacation rental is just the beginning. 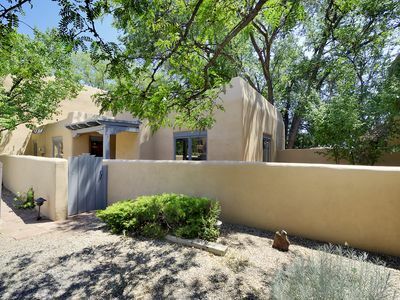 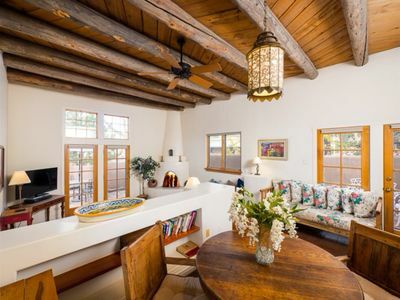 This beautifully remodeled home features almost 4,000 square feet of authentic Santa Fe ambiance and luxurious living, with 4 bedrooms (3 with private bathrooms) and 4.5 bathrooms in total. 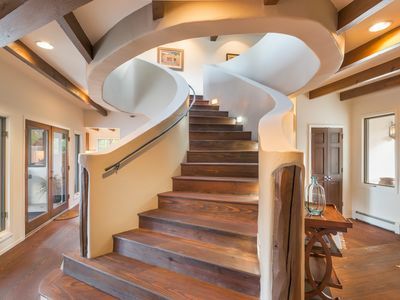 As you enter you will be greeted by a unique curved stairway. 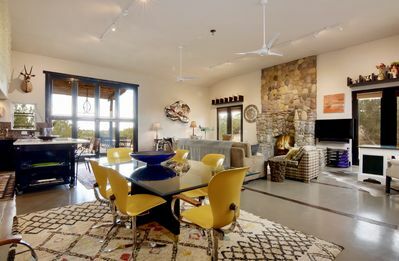 The dining area has an open wall to the newly remodeled “chefs” kitchen, which is generously appointed with elegant cabinetry and a brand cooking island. 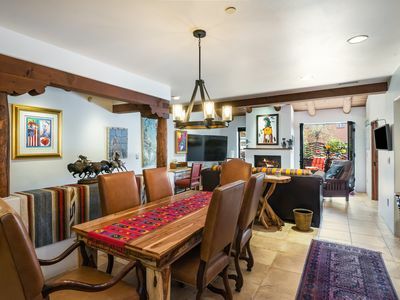 Upstairs and downstairs both have a living room with a fireplace, elegant hardwood floors, and ceiling beams. 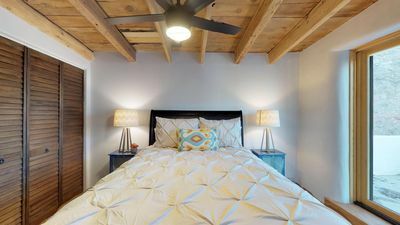 Additional amenities include; a separate laundry room, two-car attached garage, ample off street parking, two upstairs balconies providing classic Santa Fe views, rear yard with covered patio and large outdoor table for dining. 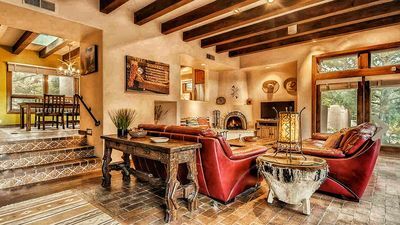 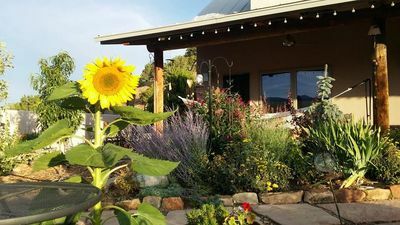 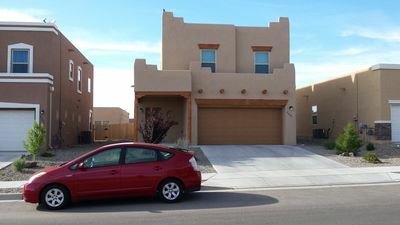 Encantada is perfect for up 12, or a couple wanting just the best in a Santa Fe experience with an excellent location and a quality home to stay in. 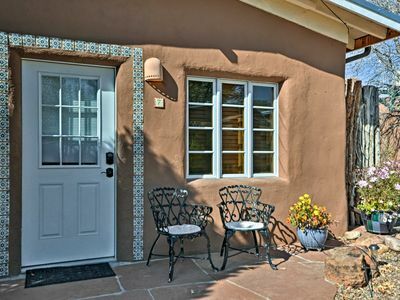 Encantada feels like stays at a good friend’s home and not a simple rental. 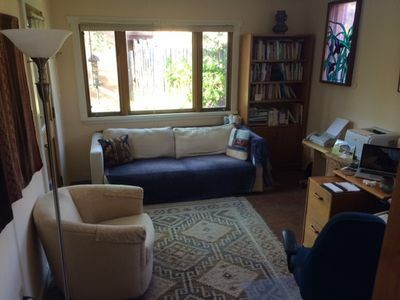 The property is pet-friendly and has a fully enclosed yard. 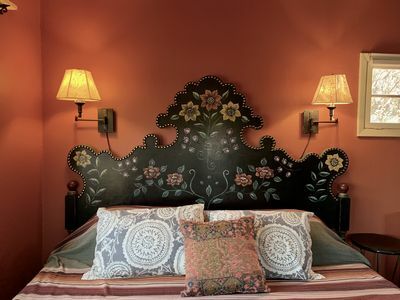 Please Note: One of the bedrooms have two single beds that can be made up into a king depending on what you would like. 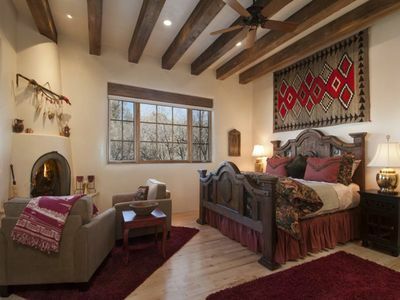 Please let us know at least a week before your stay how you would like that fourth bedroom made up. 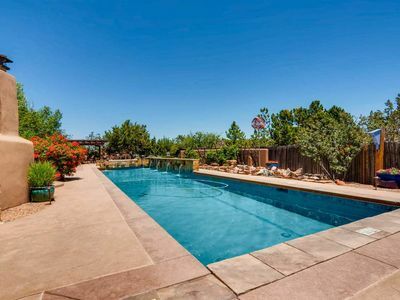 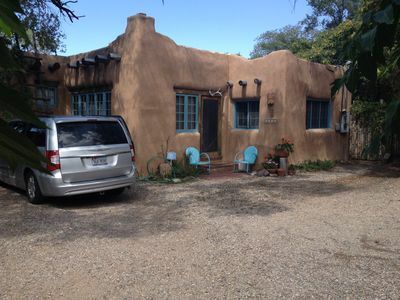 PLEASE NOTE: THIS HOME'S LOCATION DOES NOT DISPLAY PROPERLY ON HOMEAWAY'S MAP. 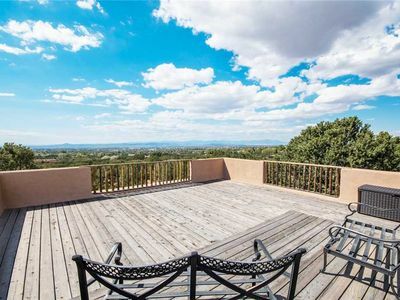 Exclusive Luxury Home - Unsurpassed Views with Pool and Hot tub! 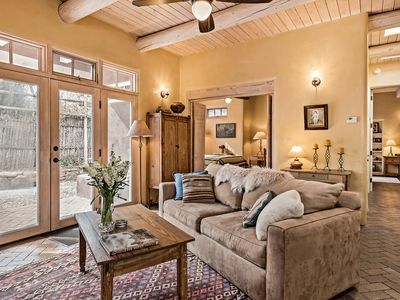 Antonia - Stylish and Cozy Retreat blocks from Canyon Rd.